Mary writes: Do you know if there is a way to see past queues? I can’t remember the name of a movie we had seen and would like to look back at my queues to see what the name of it was. Hi Mary! 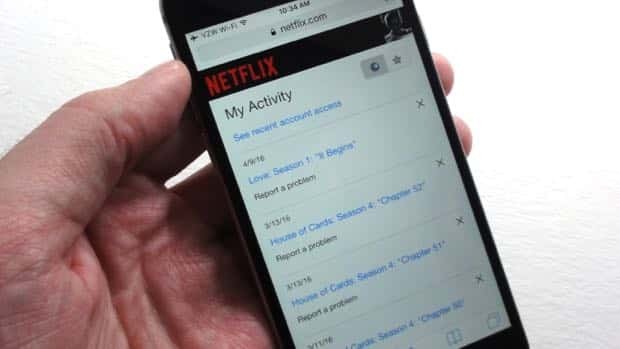 I don’t know a way to view an old snapshot of your Netflix queue, but I think I can do you one better: a list of every Netflix video you’ve ever streamed. And if you want to delete a video from the list—maybe to nix some of those “Because you watched” recommendations—there’s a way to do that, too. 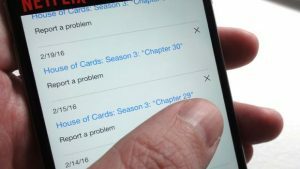 Just tap the little “x” to delete a video from your Netflix viewing history. Scroll down and click (or tap) “Viewing activity”—and there it is, a list of everything you’ve ever streamed. Or, if you’re still into physical media, rented, from Netflix. For me, the my Netflix queue goes all the way back to 2007. You can delete a title from the list by clicking the little “x” next to its name. Don’t see a video that you watched on the list? Maybe it’s because you streamed the title using a different Netflix profile. Go back and switch profiles (just click or tap your username in the top corner of the screen), then head back to the “My Activity” screen. Hope that helps, Mary. Still have questions? Let me know! See the switch in the top corner of the “My Activity” screen? By default, it’s set to “Watching.” Toggle the switch to “Rating” (the star) to see a list of all the Netflix titles you’ve rated.